When speaking to a new client, it makes it easier to discuss a project if the client knows as much as possible about what an architect does and where we, as a profession, can really add value. To help inspire you before your next project, here are the top 10 things to know about the services an architect can provide, to make sure you make the most of yours. 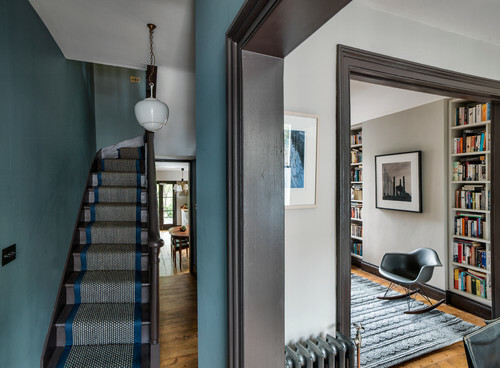 People often think only of the monetary value a good architect can add to their home, by creating a more coherent design, or adding a new room, for example. But architects also know the design and build process back to front. As such, we can guide you through all aspects, from the initial brief, through permissions needed, which consultants to ask for advice and ultimately which finishes to choose. Architects design spaces from the inside out. 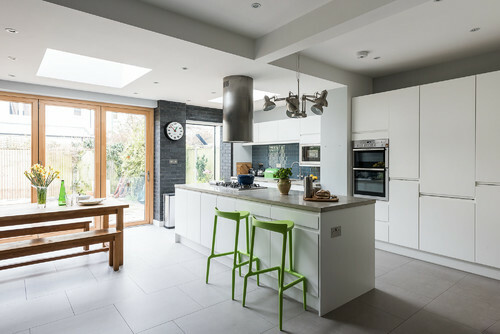 If you ask us to draw an extension, we’ll do that, but we’ll also discuss how you intend to use the space, or even how you use the whole property, to make sure the extension and the way it looks and feels makes sense for you. For example, the idea behind this design was to make the extension separate from the main building yet connected. 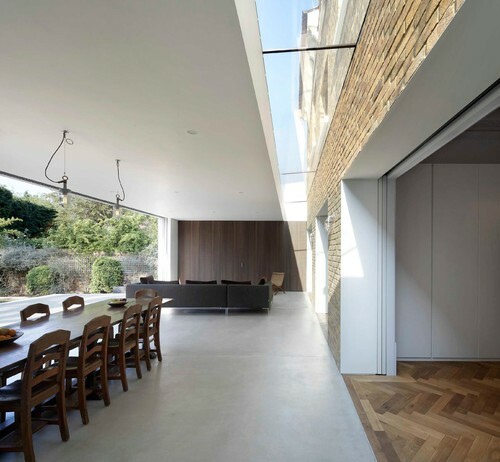 The glazed “joint” – the long roof light – also allows more light to flow into the back of the existing house and gives a rare view of the back elevation from within the extension. While an architect’s main training is to look at the whole house on a “grand” scale, we also know how to look at every detail. So with a kitchen, for instance, we’ll make sure it functions efficiently for you and you can seamlessly move from one task to another without going backwards and forwards. This may sound a little broad, but my point is this – we’re not just drawing: most of our time at university was spent being trained to think of spaces, how they’re used, and how to make them interesting and imaginative. 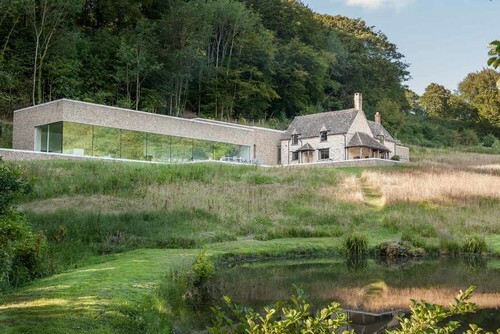 This function is much more common in mainland Europe than in the UK, where cost consultants or quantity surveyors have taken over this part of the architect’s expertise. 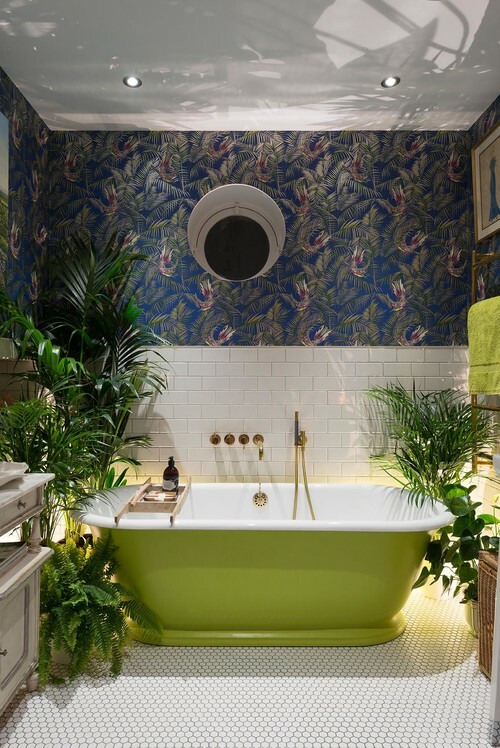 Still, many architects can help you with forming your budget right from the start, so you can feel more in control and work out whether you can afford that more expensive kitchen you always wanted! We like to encourage creativity. That “wacky” idea, which at the beginning everyone smiled about, could actually be brilliant, and we’ll be the first to think it through practically. Our ability to look at a house overall, think and preempt how you might use it or, more importantly, how you could make even better use of it, can lead to us suggesting completely different points of view to someone solely looking at one room in isolation. If you look at this picture, the fireplace wall is clad in marble. The inside, where the fire is, is clad in bricks. Architects know how to use various building and finishing materials and we know where to seek out specialist suppliers for more in-depth advice when required. 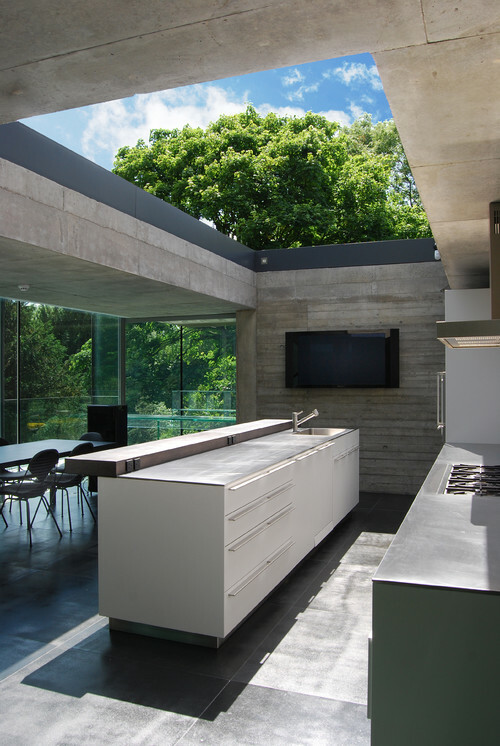 Think of engaging an architect as an investment in your house. The more you can improve your property, maximise the available space or even get permission for a larger extension, the more you stand to increase its value. We can advise you on what to spend, or not to spend, your hard-earned cash and whether it’s worth the investment. We’ll offer advice from start to finish on a project – choose recommended and tested builders, and even obtain suitable materials and finishes, perhaps from sources of which you weren’t aware. 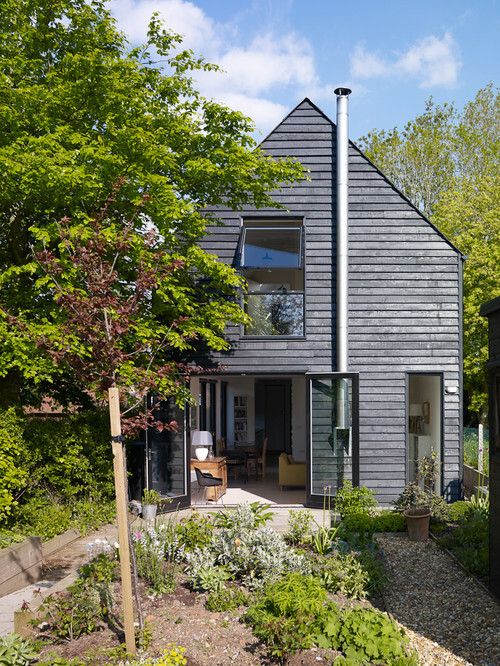 If your architect is also a good designer, this will in turn appeal to future buyers and to your estate agent when it comes to selling and increasing the asking price. Yes, architects can be fun to work with as well as to talk to about your future home! The initial stage of each project should always feel like a light switching on – it should be exciting, with an “anything goes” brainstorming session. After all, some ideas might sound crazy and expensive at first, but if the idea is good and, most importantly, achievable, why not pursue it? We’re playful at heart and that’s part of the secret to good design. I always recommend our clients explore as many ideas as possible and encourage them to let us draw them, just for the sake of it. Exhausting all possible ideas at the outset makes sure everyone on the team is certain the best idea has won. Unsupervised builders may build as they see fit, and the end result might not be what you expected or what you dreamed of. An architect’s attention to detail can mean that, not only will your finished project match your expectations, it will also often exceed them. 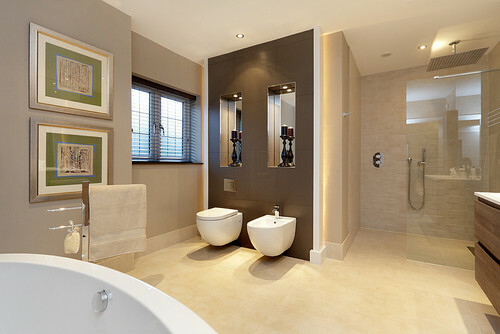 Both the toilet and bidet in this picture are suspended on a frame, and the spaces above each have been transformed into niches with mirrored backs, with a spotlight in each to give a very smart effect. Architects can plan this sort of structure into your rooms for you. Come along to Grand Designs Live to find the latest trends and products to get your project off the ground! Visit Ask an Expert for a free 30 minute consultation with one of our architects during the show.